London is a bit of an oddity when compared to other major European cities — its world-class government-funded museums are free but other attractions are shockingly expensive. Because of this, the London Pass can be a great deal for a majority of travelers. That said, some people are better off skipping the pass. 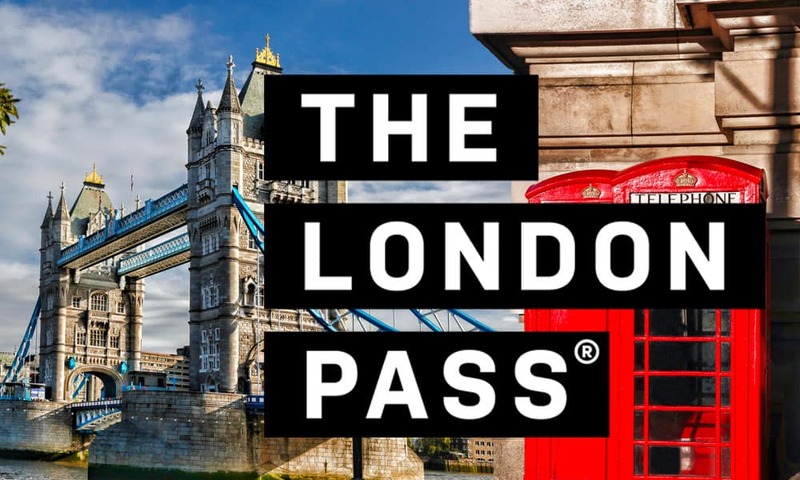 In this London Pass review we’ll break down the value of the pass, what sights/attractions the pass covers, and who should/shouldn’t buy the pass. In short, the London Pass is usually a good deal for travelers who want to see more than just the free museums, but it may not be worth it for other travelers. In this London Pass review, we break down the costs of the pass and explain who should buy and who should skip buying the pass. The London Pass comes in two variants — the London Pass and the London Pass with Oyster Card. The London Pass provides you access to a large number of attractions (see the London Pass website for the full list). The London Pass with Oyster Card is valid for the same sights and attractions as the regular London Pass but it also includes an Oyster Card that gives you unlimited journeys on all London Underground, buses, trams, Docklands light rail, and above-ground trains within Zones 1 – 6 (children under 11 can ride public transportation for free). As an added bonus, the Oyster Card doesn’t need to be used the day you activate your London Pass so that gives you a little more flexibility. The London Pass includes entry to many of the major sights, attractions in London, and tours — most notably the Tower of London, St. Paul’s Cathedral, Westminster Abbey, and Windsor Castle. Take a look at the prices to start seeing what you might want to see and how much it would cost to visit them. We’ve listed most of the best attractions that are included in the London Pass but you can view the full list on the London Pass website. Below are the key attractions/highlights that most travelers want to visit. The Tower of London is one of the world’s most famous fortresses, and it’s soaked in bloody history. It is also home to the Crown Jewels (which are also on display). We HIGHLY recommend getting a free 60-minute tour from the Yeoman Warder (they run every 30 minutes) — they are awesome. You do get to skip the ticket line with the London Pass, but the biggest line will be inside for the Crown Jewels exhibit (this line can get super long in the summer). Dating back to 960, Westminster Abbey is steeped in history, and this magnificent building shouldn’t be missed. They offer free guided tours and free audio tours. Unfortunately, your pass doesn’t allow you to skip the line, so it is advisable to get there early if you’re visiting during the summer. This beautiful cathedral is where Princess Diana was married, so you know it is going to be impressive. Visitors can climb to the top of the dome and enjoy a breathtaking 360-degree view of London. They offer free audio guides and a few free guided tours. The London Pass allows you to skip the ticket lines. Windsor Castle is the oldest and largest occupied castle in the world and the Official Residence of The Queen. This huge estate covers over 13 acres of land and is over 1,000 years old. The London Pass allows you to skip the lines which can be super long. Hampton Court Palace is the former home to King Henry VIII who decorated it with fabulous furnishings, tapestries, and paintings. It also features an impressive 60 acres of formal gardens that feature many different plants and flowers from all over the world. It is located about 35 minutes outside the city by train. The Shard is a giant 72-story skyscraper that offers amazing views from the top. This was recently added to the London Pass and it’s a nice (and expensive) addition if you want an epic view of the city. The London Pass includes entrance to many popular places of interest — many of which are expensive so the pass pays for itself quickly if you plan on visiting these sights. If you’re a fan of Shakespeare, you’ll probably want to check out the famous Globe Theatre. The tours are limited to when there are performances, so you’ll want to check out their website before planning your visit. While the state-run museums are free, there are still a few great private museums included in the London Pass. The London Pass also included a number of tours and cruises that are expensive if booked individually. A lot of people love these hop-on-hop-off bus tours since it’s an easy way to get a good overview of the city’s highlights. We find they’re a great way to see a lot of the city in a short amount of time. The London Pass also gives you discounts on a handful of other London activities and shopping. Most things on the list aren’t too exciting, but there are few decent discounts. I suggest at least checking them out to see if anything interests you. As mentioned before, you can get the London Pass with or without an Oyster Card. The public transportation in London is excellent. That said, it is a little expensive and the ticket pricing can be a little confusing. We recommend getting the London Pass without the Travel Option because you pay a premium for it. That’s because if you buy your own Oyster Card in London you’ll never pay more than £7/day for travel within central London (read below). The City of London offers three ways to pay for travel on the Tube and buses within central London (between zones 1 – 2). Oyster Card: A preloaded card and funds are automatically deducted when you use it. Each ride (if paid in cash) costs £4.90… but if you use the Oyster Card a single ride costs £2.40 — however, there is a daily cap of £7 so you’ll never pay more than £7 a day no matter how many rides you take. The nice thing about the Oyster Card is that it is pay-as-you-go, so you only pay for what you use. Note: The Oyster card that comes with the London Pass is an unlimited pass. Single-Ticket Cash Fare: £4.90 per ride. To calculate the value of the London Pass, it’s best to create a sample itinerary and then crunch the numbers. However, in general, if you do two or three paid attractions a day, then the pass pays for itself. Ok, so now you know how much you need to spend each day on attractions before you break even. If you look at the prices of the attractions above, you’ll see that some attractions can be as high as £30 but most major sights are around £15-£20. This should give you an idea of how much you would need to do in a day for the pass to make financial sense. The next thing I would do is choose which museums, sites, and attractions look interesting to you. Remember that all the major museums in London are free, so you can easily fill your days up with visits to the free museums — that said, many of the attractions on the London Pass are amazing, too. Our goal is to get £75 worth of value our of the pass. If you did Tower of London (£27), Westminster Abbey (£22), and View From The Shard Skyscraper (£32) in a single day it would cost you £81. You could easily fit in something like a Thames River Boat Cruise (£18.75) and you’d be saving a lot of money. Of course, we can’t forget about the free museums. We suggest either batching those museums together so you don’t waste one of your Pass days. Or you can do one free museum + a few London Pass attractions on the same day. In general — yes. A majority of visitors find that the pass is worth the price and it can be a really good deal if you’re smart about how you use it. Who Should Consider the Pass? Travelers with Children — If you’re traveling with children, you might find that being able to skip some lines makes your trip go smoother. Also, many kid-friendly (and usually expensive) attractions like the London Zoo, Tower of London, Hop-On Bus tour, etc, are included in the pass. Travelers Who Want to Do Extra Activities — If you want to do a lot of the activities on the pass, then it’s definitely worth it. It will easily pay for itself quickly if you see a lot. People Who Want to See a Lot in a Few Days — If you’re in London for only a few days and you want to see all the major attractions, then the pass will be a good deal. Travelers Who Want to See London at Their Own Pace — If you’re not too worried about the price, the London Pass is a nice option just for the fact that you can hop in and out of attractions at your own pace. Don’t like something? Leave and don’t feel bad for wasting your money. Convenience — If you simply don’t want to worry about purchasing tickets when you’re in London, the pass is a nice option. You just have to get your pass delivered to your home and you’re all ready to go once you arrive. Who Should Skip the Pass? Budget Travelers — If you’re on a strict budget, I’d skip the pass or just buy a one-day pass and cram in all the super expensive sites in a single day. Travelers Staying in London for Longer Periods — If you’re spending a long time in the city, you’ll probably want to spread your visits to the attractions over a longer period of time. As mentioned before, consider buying a one-day pass to see a bunch in a day and then spread out the rest of your sightseeing. Travelers Who Just Want to See a Few Places — If you just want to see a few attractions over the course of your trip, then the pass isn’t worth it. Get A Shorter Pass If You’re On a Budget — If you want to see the sights on the London Pass, you can arrange your visit so that you see all the major sites on the pass in a day or two. This way, you can buy a shorter duration pass and then fill your remaining days with the free museums. Check Hours and Days — Be sure to check the hours of the sights as many close down around 4:30 pm. That’s why we recommend getting started early and hitting the sights when they open. If you don’t get started until noon then you might only have a few hours to squeeze everything in before thing start closing. Plus, getting started early will help you beat the crowds. Group Your SIghtseeing: Get a map and plot out where things are so you can group your sightseeing by location. Don’t waste your time traveling from one side of the city to the other if you don’t have to. Download The App: The app goes a nice job of helping you plan where to visit. It also has a handy map feature so you can plan your route easier if you’re not familiar with the city. It’s also handy for seeing things spur of the moment as you’re walking around. Night Activities — Since most museums and sights are only open during the day, you should see what activities are open later and do those after the other attractions are closed. Don’t Waste the First Day — The time on the pass starts the first day you use it, so if you use your pass for the first time at 8 pm, it will count as a full day. Check Out the Discounts — The London Pass also gives you discounts on some other participating companies. Most are junk, but there are a few good ones. London Walks gives a £2 discount on their walking tours, which are really great. They have a Haunted London walking tour that runs at night that we really enjoyed. The easiest way to get the pass is to buy it online from the London Pass website and have it mailed to your home. This way it is all ready to go once you arrive in London — you can also use the Oyster card to get into the city on the train. You can also purchase it online and then pick it up in London — but we suggest getting it mailed if you have enough time since you won’t have to track down the ticket office. London Budget Travel Guide: Tips for visiting London on a budget. Best Hostels in London: Our favorite budget hostels. London Price Guide: How much to budget for visiting London. Europe Packing List: What to pack when you visit London. Travel Insurance 101: Tips for choosing the best travel insurance for your trip.